Kylie who? Jordyn Woods goes blonde. Jordyn Woods is out here living her best post Kardashian-Jenner life. 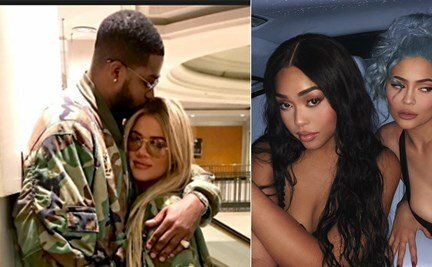 Kylie;s former BFF who felt out with her family when she allegedly had an affair with Khloe's baby daddy Tristan is proving she has moved on from the drama. Shortly after the scandal Jordyn stayed off social media until she appeared on Jada Pinkett's red table talk. The model and Instagram celebrity seem to put have all that behind her. She is back on social media sharing beautiful photos of herself. She tagged the above photo 'quick switch up for launch day "